Ever wonder what to do when your star gazing event was clouded out or it wasn’t dark enough to see anything? Tired of the hassles of cancelling a program? Then join Skip Bird and the Night Sky Network and find out how you never have to cancel a star gazing program again (unless they forgot to plow the 16″ snowfall from the parking lot from the day before). Come for a program full of Fun Astronomy adventures. We will explore the Universe by using the most powerful words known to mankind — the “Night Sky Network” . OK, you’re right, they are the second most powerful words after the “I” word. Explore expert tips and activities collected from the wisdom of hundreds of astronomy clubs from across this solar system and how this program can help your club bring in and keep younger members. 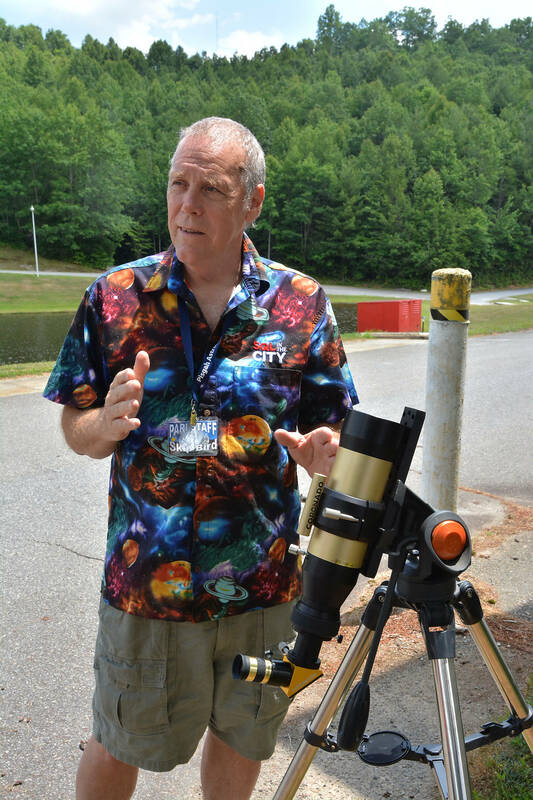 Wayne “Skip” Bird is a NASA Heliophysics Ambassador, and presently the Outreach Director/Night Sky Network Guru for the Westminster Astronomical Society, an outreach fanatic (definition of fanatic: someone who will not change his mind AND will not change the subject). He is also a “MAD” Science teacher for TGIF a home school group. He is the world-renowned author of “Night Flying Astronomy Bird” articles (OK, maybe world-renowned is being a little modest), and the World’s Greatest Dad — he has the button to prove it, but enough about me.